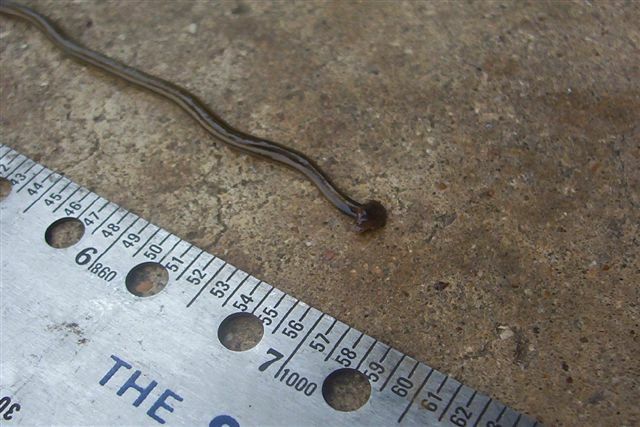 An unusual worm may be in your garden that you need to know about. You also need to kill it. 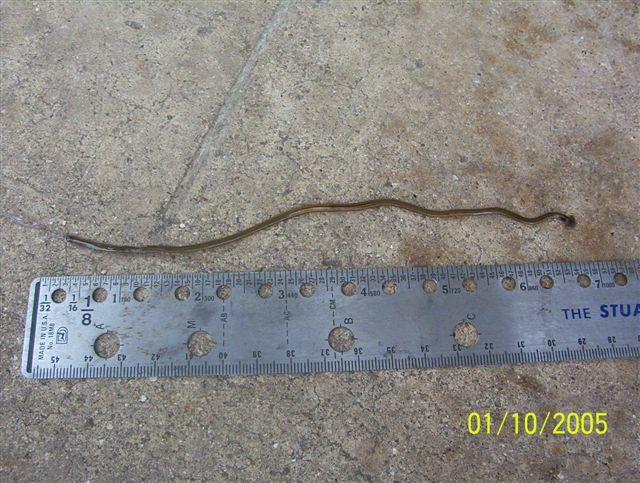 It’s the land planarian, a slimy iridescent flatworm with a hammer head. I once thought that it was a neutral animal in the garden – eating some beneficials and some pests, but that is wrong. Rather than helping control termite larvae, grubs and other pests, etc. it seems that it is only a destructive pest that needs to be gotten rid of. It only eats earthworms. 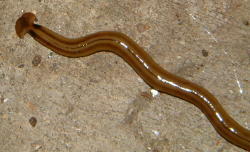 Land planarians are native to Indo-China, but are have been transported to many other parts of the world in the soil of greenhouse plants. They can survive in freezing climates but don’t do well in dry climates. They are primarily nocturnal, but can often be found out and about early in the morning especially on wet surfaces. They can also be found on the trunks of trees. Smashing this pest is the thing to do, except for the fact that it grows back from small pieces. A better solution is to spray with orange oil to completely destroy it and prevent return. 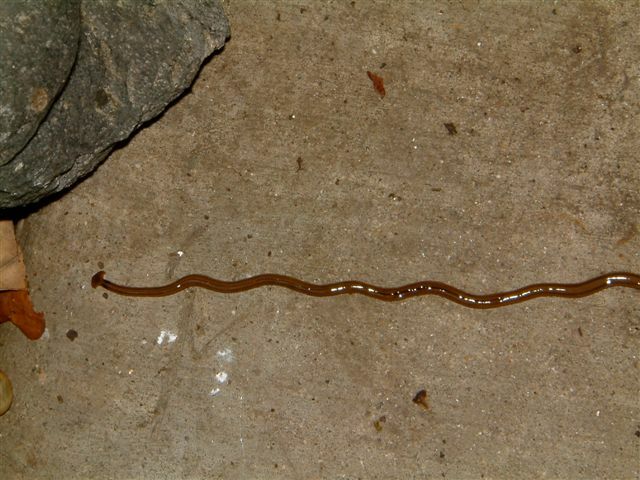 Answer: Both types of land planarians, or flatworms, are destructive to earthworms so neither is beneficial. These flatworms are native to Asia but have been transported to other parts of the world in the soil of greenhouse plants. The vinegar formula you mentioned probably will kill them, but I always use a strong spray of orange oil. Melting flatworms completely is important because if they are chopped up, every piece will regenerate into a separate worm.